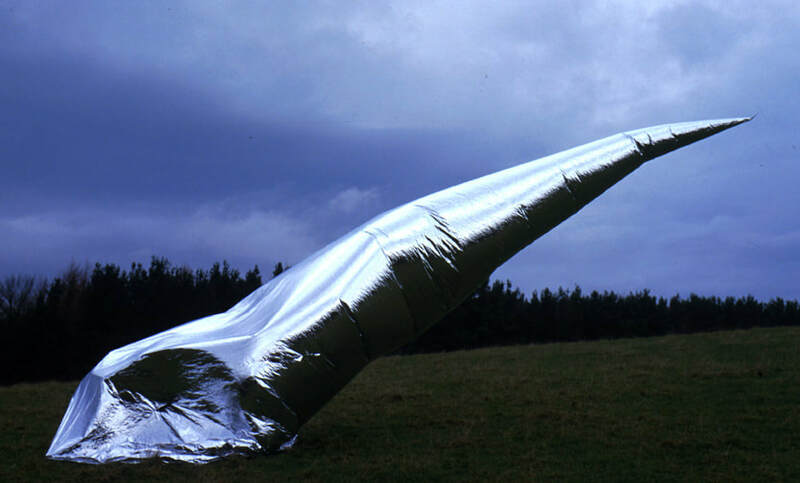 Constructed from aluminised PVC / Mylar. 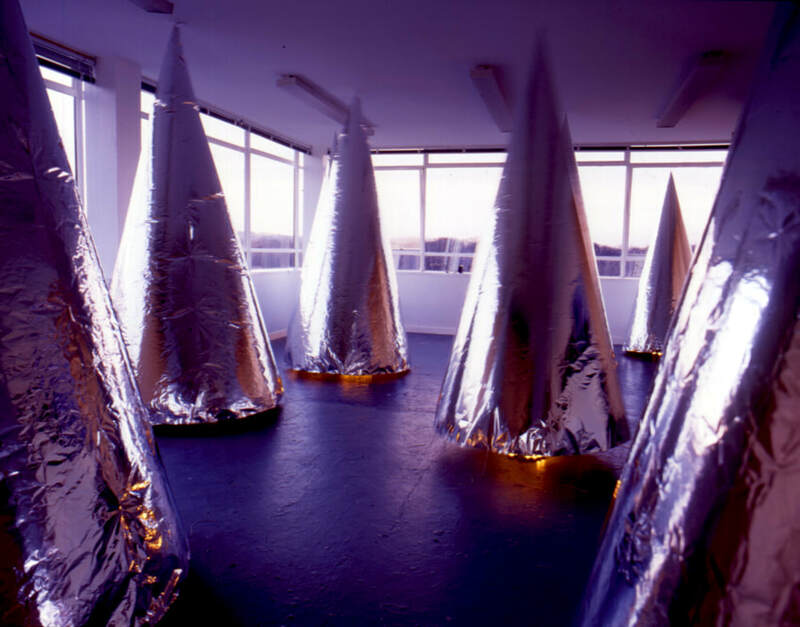 (Variable dimensions 3 - 4 metres) A series of eight conical envelopes with lead weights to anchor them to the ground. 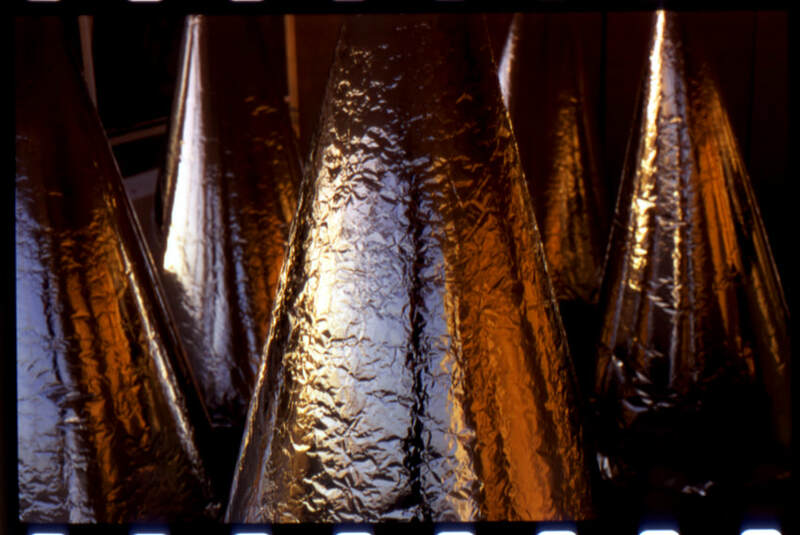 They are generally filled with the heat generated by around fifty candles. 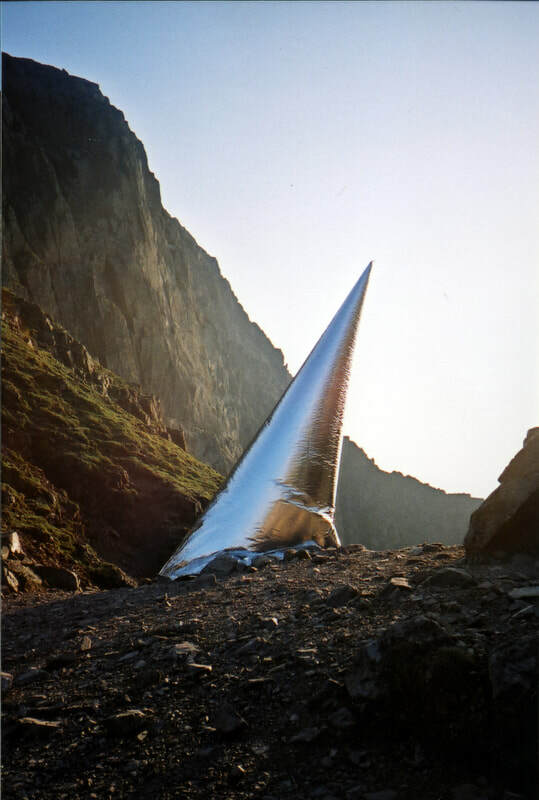 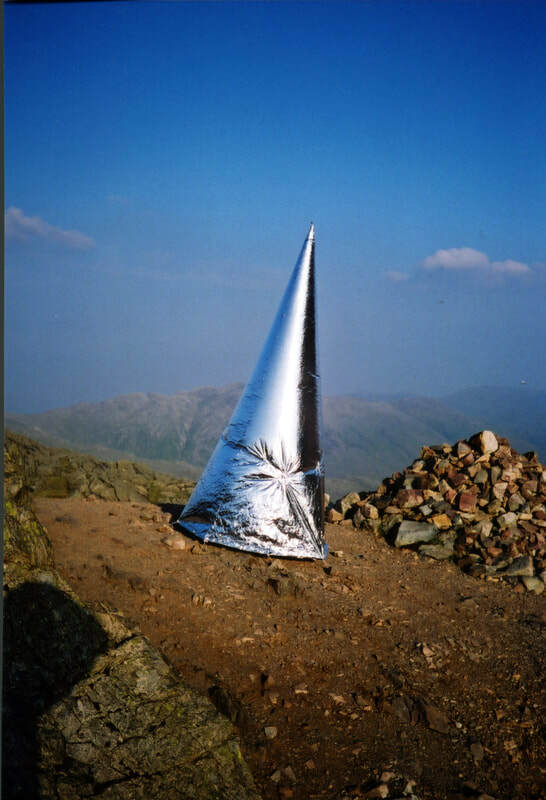 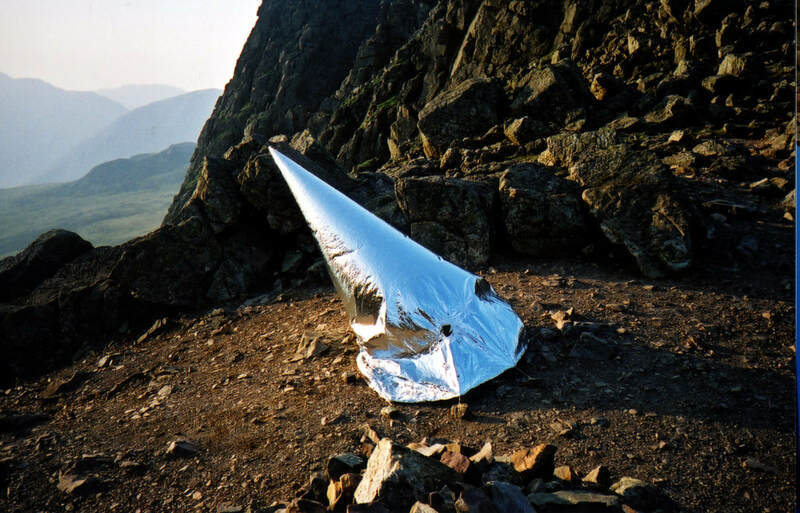 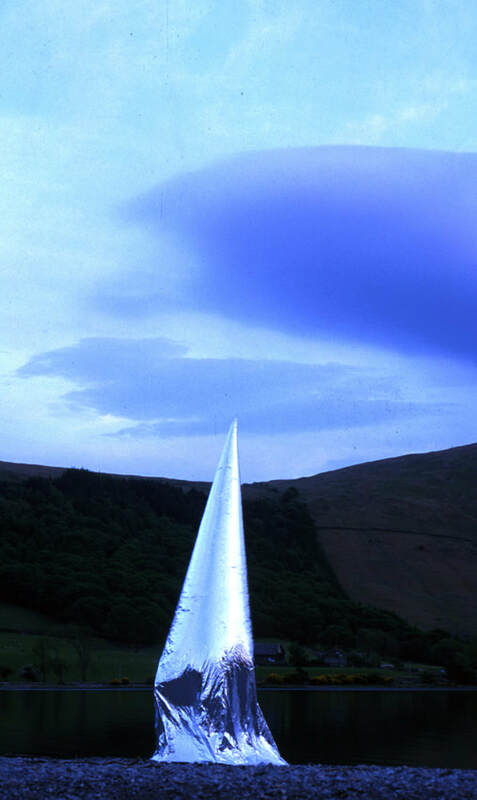 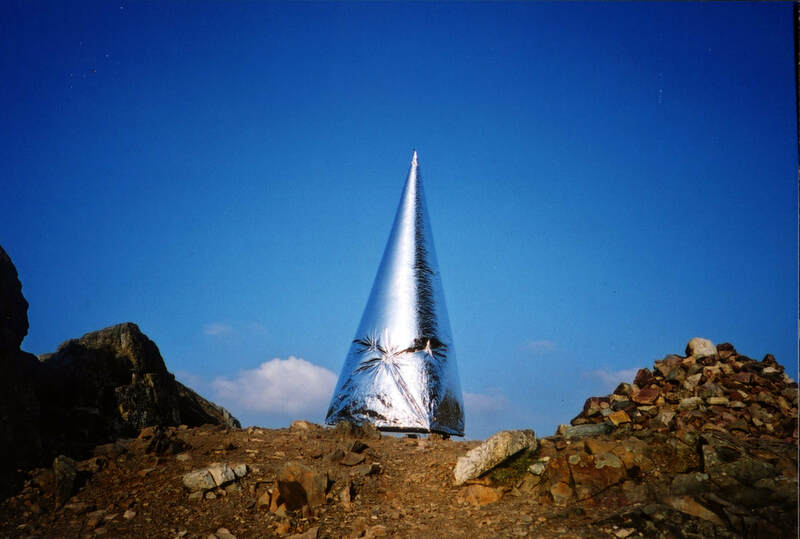 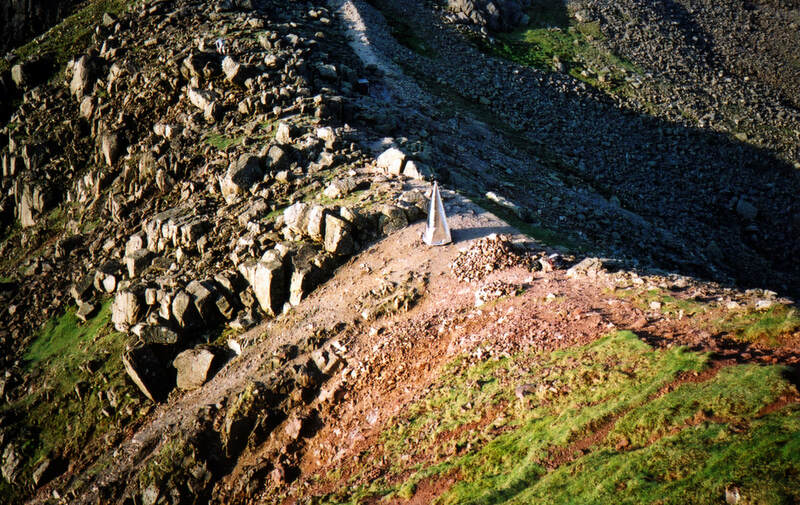 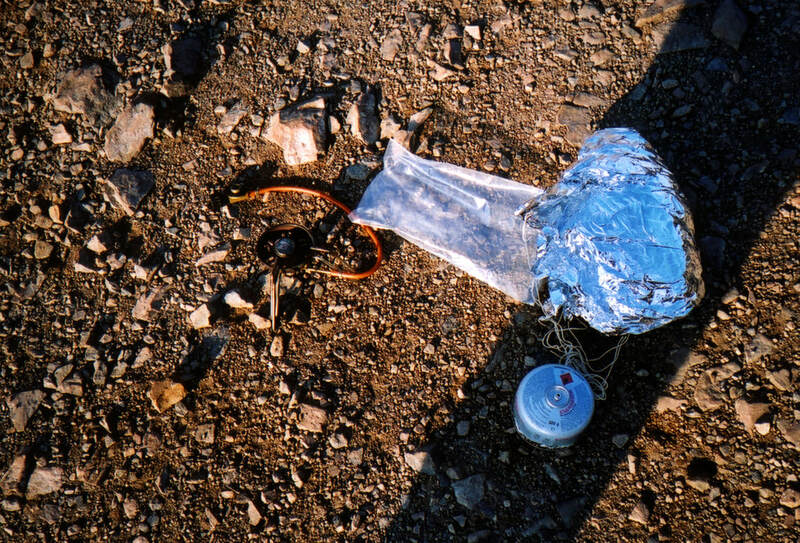 Initially the work was shown at Sunderland University in 1999, then explored as a potential lightweight emergency sculpture on Scafell in the Lake District. 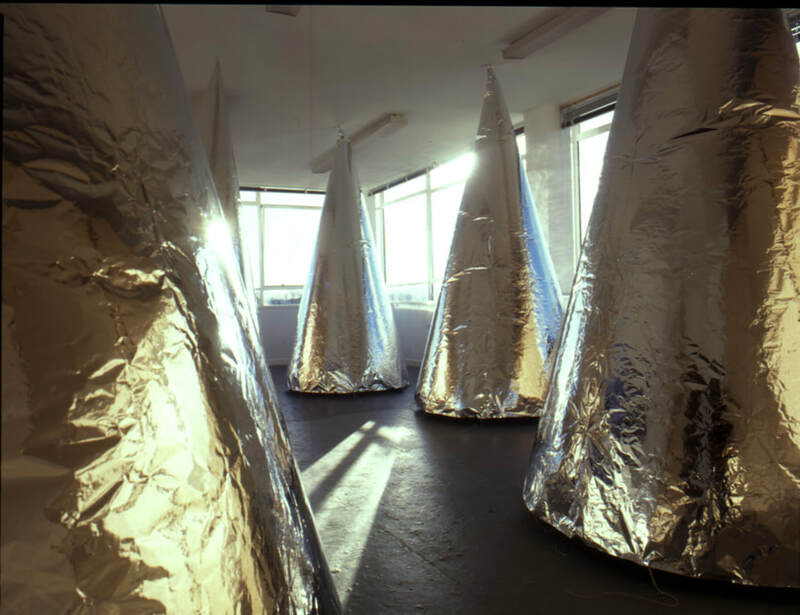 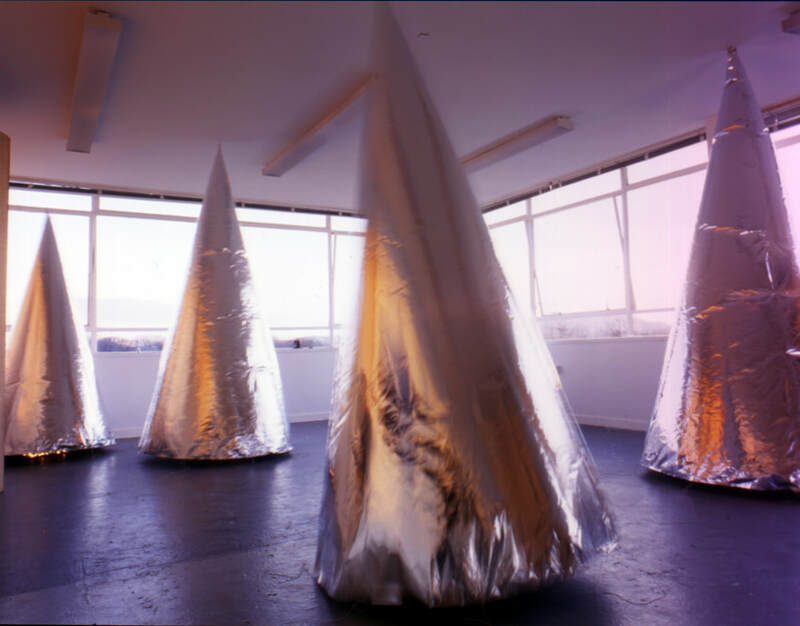 They were then exhibited for three weeks in October 2000 at 51a Lime Street, Ouseburn, for VANE 2000.